Another one for a cooler day (I guess the clue’s in the name). 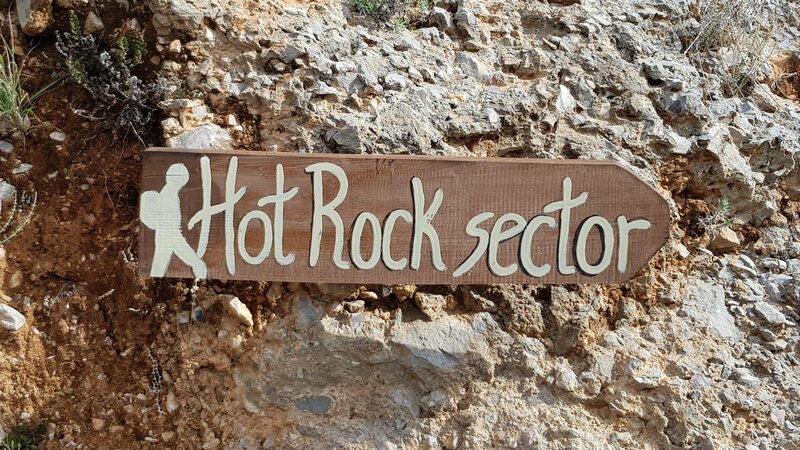 Hot Rock is on the far left end of Kokkinovrachos, and accessed by an easy 10mins mostly horizontal stroll from one of the hairpins above the town. With a bit of cloud cover and more forecast by the end of the day, it seemed like a good chance to check out “one of the most popular crags in Leonidio”. 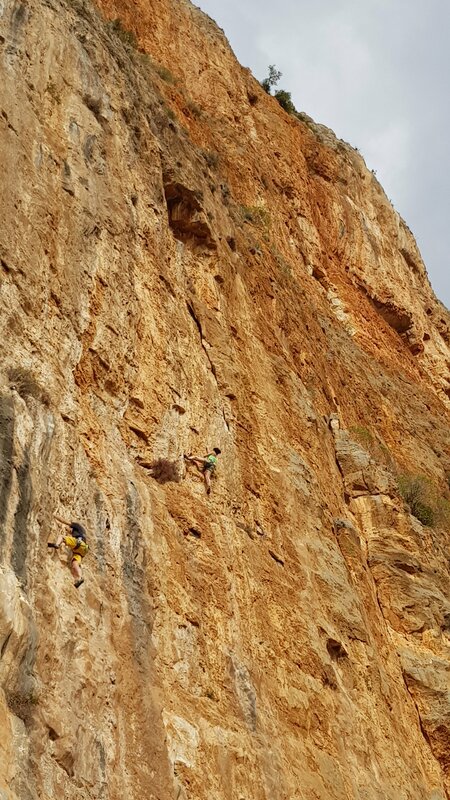 There are only 20 routes, from 6a+ to 7a+, but they’re mostly 30 to 40m so there’s plenty of climbing to go at. 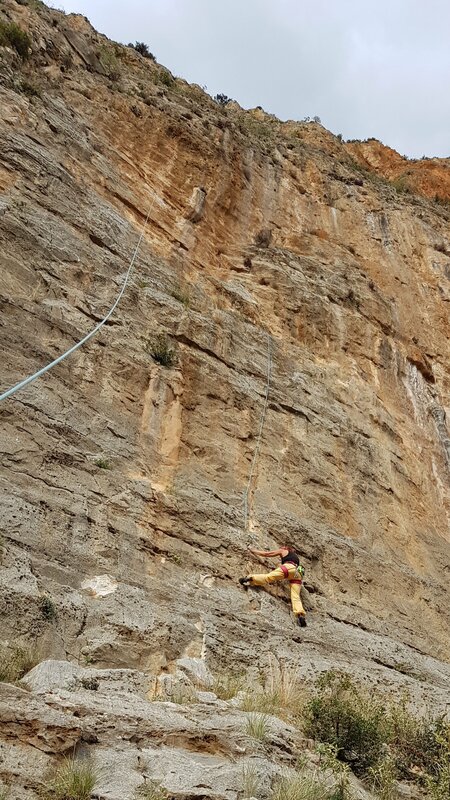 We started with the classic of the crag: The 42m 6b corner of Mayor (musical note-worthy). 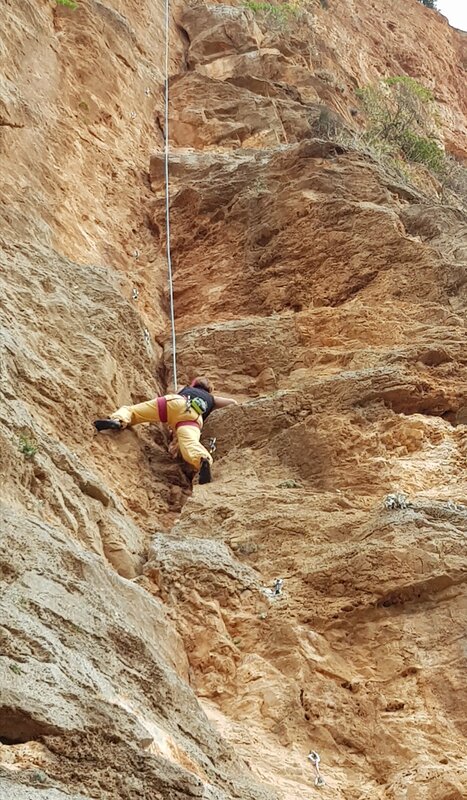 This is a really stunning line with excellent climbing sustained at an interesting but not desperate level until a stiff lay back move at the very top. Arguably it would be an even better 37m 6a! Just to the left are a pair of outstanding 40m 7as up vertical orange rock on sharp crimps and occasional tufa blobs. Commando takes a sweeping diagonal line up and leftwards with some cruxy moves around mid height to link distant edges. Oyk is even more sustained, with a tough lower wall followed by a bit of a rest around 2/3 height and then crux moves moving up and right to gain a steep flake crack. A couple of big layback pulls get you to the top of the now quite fragile looking flake and it’s a relief to clip the lower off. 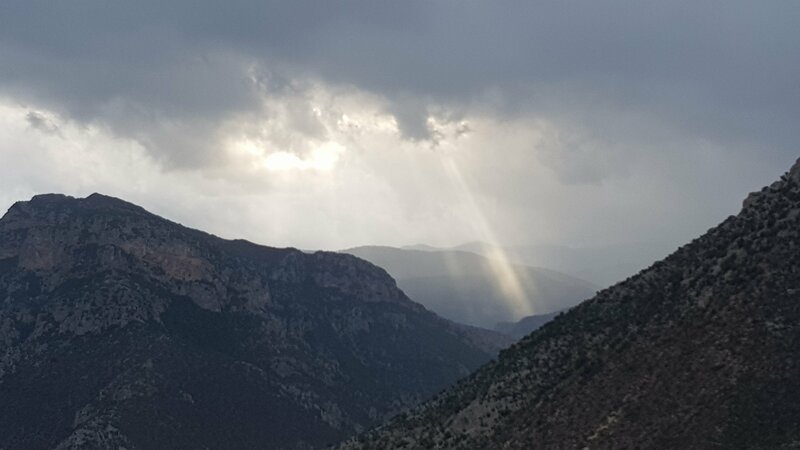 … Anyway, a few spots of rain were all the encouragement we needed to quit the crag, just in time to avoid a major downpour.